Julian Wayne “Buddy” Blaxton left this life March 20, 2019, on the first day of Spring, He had his daughter, Deb and wife of 48 years, Trish, by his side. Buddy was of the Christian faith, had been saved, loved the Lord, and spent his life living by “The Golden Rule”. Buddy served on the Planning Commission and was a volunteer firefighter for the town of St. Florian where he and Trish lived for 45 years. He was highly respected there, and loved his neighbors and community. He was a 50-year Mason of Sheffield Lodge #503, Scottish Rite, Cahaba Shrine, 32nd Degree. He served in the National Guard during the Vietnam Era. Buddy was a staunch Democrat, proud union man, and 55-year member of the Iron Workers Local #477 where he dedicated his life to helping working people and passing on his trade. Buddy started as an apprentice for Iron Worker Local #477 in 1964. Throughout his career he worked in many different locations across the U.S. but for the last 30 years he worked for Local #477’s Apprenticeship. He held many positions in the Iron Workers. He was elected as a District Council and International Delegate for the Local where he also served on the Executive and JATC Committees. His proudest career achievement was becoming Local 477’s Apprentice Coordinator. He love passing on his knowledge of iron working to people new to the trade. 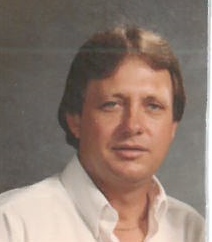 He was also an AWS/Certified Welding Inspector and taught welding to multiple trades. Many union tradesmen in the Tennessee Valley have Buddy to thank for their skills. Though he had a rough upbringing, Buddy always had the strongest work ethic. Just like his father, he believed that hard work always paid off. He worked through sickness and pain, regardless of circumstances to provide for his family. He loved Trish and his family and worked hard every day to make sure they didn’t want for anything. He loved animals, often taking in strays and feeding all the birds on his well-kept property. He loved making people laugh with jokes, tricks, and his quick wit. Buddy dedicated his life to helping others and making the world a better place. Visitation will be Sunday, March 24, 2019 from 4-5 p.m. at Greenview Funeral Home. The funeral service will begin at 5 p.m. in the funeral home chapel. Buddy was preceded in death by his father, William Robert Blaxton; mother, Audra Blaxton; brother, Ronald Gary Blaxton; daughter, Jamie Lynn Blaxton; father-in-law, William Haynes; mother-in-law, Stella Haynes; and brothers-in-law, Bubba Haynes and Pete Pate. He survived by his wife, Trish Blaxton; daughter, Deb Blaxton; brother, Bobby Blaxton; sisters-in-law, Carolyn Pate and Peggy Balentine; nephew, Bo Balentine; niece, Sheena Blaxton; and great-nieces, BeBe Balentine, Ivy Balentine, and Kalee Balentine. Buddy’s family would like to give special thanks to friends, Eddie Mitchell, Bryan Frazier, Jeb Miles, and all the Kasmeier families in St. Forian. They also thank Doctors Patel, Daugherty, Morris, Vincent, Bowen and all their staff for the care and compassion they’ve shown Buddy over the years. In lieu of flowers, please donate to Shriners Hospital or St. Jude Children’s Hospital. Members of the Iron Workers Local #477 will serve as honorary pallbearers.